Growth in event spend was up by a net balance of 13.4% for the second quarter of 2016, the latest IPA Bellwether report has revealed. Rising sharply from Q1’s event spend increase of 6.3%, the report showed that marketing budgets were growing across the board, with a total of 10.7% of companies revising upwards. Despite this growth, the survey, which was completed before the Brexit vote, showed uncertainty among marketers. 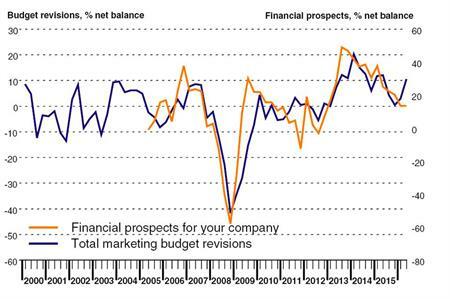 A record 68% of of companies signalled a freezing of their budgets over the quarter, leading to a shift in spend. In addition to live events, internet and main media advertising also saw an increase in budget. However, as a result of the uncertainty surrounding Brexit, Bellwether has downgraded its ad spend forecasts to -0.2% for 2016 and -1.3% for 2017. Paul Bainsfair, IPA director general, said: "While the uncertainty in the economy caused by the vote to leave Europe continues to linger, we will experience an inevitable period of flux - as reflected in the Bellwether’s downgrading of ad spend forecasts. "Before companies react and cut marketing spend, however, it is worth remembering that all the evidence points to the opposite. Companies that keep investing during a downturn perform better financially than those that reduce marketing expenditure."